Handsomely rendered in the latest Windows 8.x tile-style, TechGenie’s PC Optimizer is undoubtedly one of, if not the best-looking Windows maintenance suite out there. The free version offers marginal value—if you’re careful with it. But if you fall for the copious embedded advertising, you’ll wind up spending well over $100 for utilities you really don't need, then calling iYogi’s tech support to undoubtedly spend more. You might want to move on the next review now. Still reading? The free version of PC Optimizer offers a decent registry cleaner, a junk file remover, disk defragger, a security advisor, an Internet settings optimizer, plus two-way remote control. The $40 Pro version adds a duplicate file finder, backup and restore, plus file encryption. There’s also an $80 Absolute version that brings parental controls, and a firewall to the party. Best I could figure, you need to throw in another $50 to $80 to get antivirus. A lot of upgrading and a lot of money for features that are already embedded into your operating system or available for free elsewhere. Optimizer's Internet optimizer wants to add a lot of registry settings. Giving the suite its due, PC Optimizer’s registry cleaner did about as good a job as my old freebie standby, CCleaner, in finding the detritus from recent uninstalls. And the junk file cleaner was moderately effective as well. However, the defragger wasn’t smart enough to realize it was dealing with a virtual machine drive or an SSD. Defragging doesn’t help the performance of SSDs and reduces their lifespan. On a hard drive, the defragger worked well, though seemingly no better than the defragger that comes with Windows. It also recommends defragging once a month, which is far too often. There are a lot of settings provided by PC Optimizer’s Internet Optimizer, many of which are those that Windows doesn’t implement by default. The wisdom of changing these settings and the benefit derived therefrom is debatable. Also, once you’ve let the PC Optimizer “fix” it, there’s no way back, i.e. no undo. If there was any improvement in throughput, I didn’t see it. Think they could squeeze in more mentions of the tech support phone number? The genie gets bigger, is animated, and got annoyed when I quit a defrag operation. 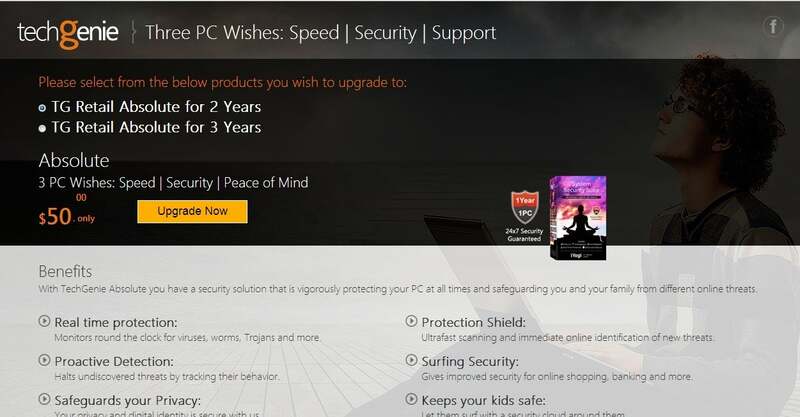 PC Optimizer’s Security Advisor mimics the Windows Action center in telling you what anti-virus program you have installed, what anti-spyware you have installed, and the status of your Firewall. The duplicate file remover doesn’t need explaining, but it seemed to base its selections on file size and came up with a whole lot of files that weren’t duplicates, just small installation or info files that are only a few bytes. Be careful with that one. The Encryptor (iYogi’s spelling) works on a file/folder basis and performed fine, though I limited my testing after the issues with the duplicate file remover. I did most of my testing in a virtual machine, however, the Absolute version wouldn’t install in a VM so I used my main test bed to check out anti-spam, parental controls, and firewall (from BitDefender) in a limited fashion. Mistake. It required me to uninstall Microsoft Security Essentials before proceeding, then as far as I could tell, the anti-virus required upgrading yet again to something called Total security. With the anti-spam apparently only for Outlook (I use Thunderbird) and no way to confirm that the Firewall was working, plus numerous additional ads telling me to call technical support, enough was enough. I didn’t even get around to checking out the remote control of other PCs because I wasn’t sure where the data was going. This is only time I’ve quit on the testing for a software review in over 20 years. We're not sure if the up-selling in PC Optimizer ever stops. After the un-install, my Cisco AnyConnect VPN stopped working, and I had to uninstall and update my Ethernet controller driver to get it to connect to the Internet. I spent a good hour digging around, editing the registry, enabling, disabling, uninstalling, and reinstalling software to get my system back up to snuff. PC Optimizer had enabled remote assistance to the test bed without asking. I was not pleased. This was not my first run-in with software from iYogi. The last was in 2009 with a Windows XP to Windows 7 migration tool that bombarded you with up-sell and tech support advertising, looked like it was going to do something, and transferred nothing. Sensing a pattern? At least PC Optimizer’s utilities do something, and some of it's positive. If they had been flawless, I could forgive the ads and upselling. As it stands, no user really needs a maintenance suite, but if you feel you must have one, look elsewhere. Though PC Optimizer’s optimization and cleaning features seem to work, it spares no effort in trying to upsell you and get you to call the company’s phone support.